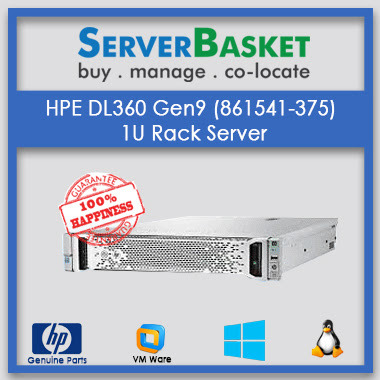 Best Deals on Hewlett Packard Enterprise DL380 Gen10 Servers at Lowest Price in India. Delivers Great server performance. 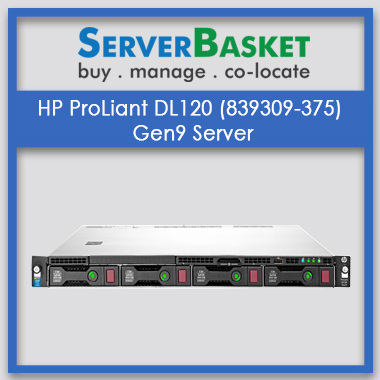 The HPE ProLiant DL380 Gen10 Servers are ultimate representative for this latest propagation with impressive features that satisfy the requirements of nearly any communal IT environment. 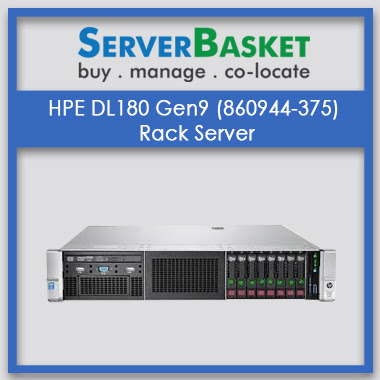 Buy HP DL380 Gen10 2U rack-mountable server online from Server Basket at the best possible price. 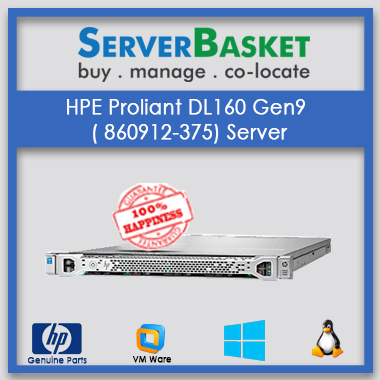 The HPE ProLiant DL380 Gen10 server is highly compliant and flexible for any business needs. Why think twice, be wise and shop from Server Basket and avail some additional benefits. 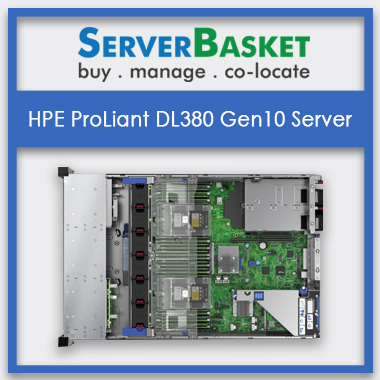 The HPE ProLiant DL380 Gen10 servers is extremely compliant and flexible, approving up to 190 Terabytes, 4 LFF drives supporting internally and is placed above the memory modules and CPUs. A number of horsed drive cages approve additional LFF and SFF hard drives. Definite chassis configurations are serviceable depending on your workload needs. The server can base 3TB of DDR4 Smart Memory and can shaft up to 128GB of HPE's constant memory NVDIMMs. 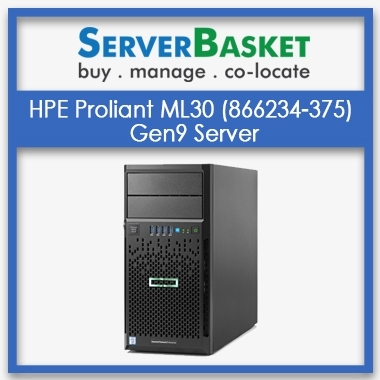 The configuration and features of the HPE ProLiant DL380 servers are designed in a way, which can compact with any business needs, i.e., to any larger extent and tend to provide great performance delivery in any aspects helping the business to satisfy the requirements needed for IT environments. Compose, supervise and renovate your HPE servers consistently from anywhere in the world. Imagine, seamless insight into the operation of your servers, HPE iLO bases you with the tools to manage your servers prominently, resolve your point of departure quickly and keep your business running on track from anywhere in the world. We present to you the latest modernization in composite operations, performance, and security. HPE iLO allows you to administrate your sole server environment with ease. The HPE ProLiant DL380 Gen10 servers are built with the Dual processor that are the part of every HPE's new 10th generation servers which tend to offer greater performance along with hardware-established security features to deliver the world's most defended industry-classic servers. The DL380 platform is the data center acceptance for multi-workload estimated applications. HPE innovation with intelligent system optimizes workload efficiency using configurable profiles to ditty internal resources with empowered throughput for all workloads for high-frequency trading with waltz smoothing. We customize and configure based on the requirements of the clients. We make sure any configuration is ready. Our support team of qualified technical assistance will customize the HPE ProLiant DL380 Gen10 servers in any desired way based on the demands of the customer. Let us know, what is your requirement for your business, and we will surely provide you an efficient ProLiant server to the best way possible. We assure the lowest price guarantee, compared to any other online stores. 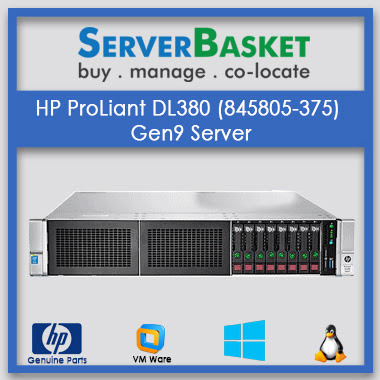 Server Basket has proven to be the best choice when it comes to quality, on-time delivery and low price deals for HPE Proliant DL380 Gen10 Servers. Server Basket never misleads anyone, by giving faulty hope. What you get, is what you pay for. You can compare and buy with other online stores pre in hand and look for the best price deals, and we are sure that you would come back to shop with us. We deliver the required HPE Proliant DL380 Gen10 Servers quickly within 2 to 3 working days across India after your booking is confirmed by us. We deliver 100% tested and quality certified HP Servers. We never cause any inconvenience with this service. We are the most trusted online stores for accurate product delivery with zero damage or delay timings. 861752-B21 HP 4TB SATA 6G 7.2K LFF 3.5" Hard Drive Rs.